All of my books and CD's on one page! SoundCloud examples can be found at the bottom of the page. Playing Jazz Guitar - A comprehensive guide to playing jazz guitar. 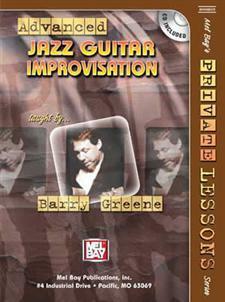 Written by Barry Greene, one of the leading educators of guitar instruction. This iBooks edition is fully interactive containing numerous audio, video and notation examples. All musical examples are presented in both notation and tablature form. 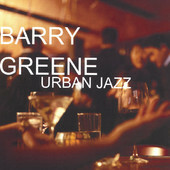 Chord Melodies contains ten solo guitar arrangements done by jazz guitarist and educator Barry Greene. 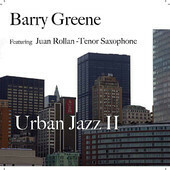 All of the arrangements are presented in both tab and notation with recordings of Barry performing them. Intros and Endings contains 30 examples of ways to begin and end jazz tunes. Many times a performance can fall apart when an ending does not work as expected. These 30 examples will you give you a wealth of possibilities to use on any tune to make sure your performance begins and ends with a professional sound. 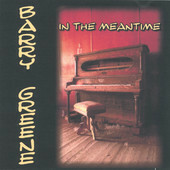 Fully notated in both standard notation and tab along with audio examples played by Barry. This book is designed to teach any guitarist to compose chord melody arrangements for the guitar, at a pace which is comfortable for both the beginner and the advanced student. Every method used is discussed at length with over 50 musical examples given. The accompanying CD will assure the student that he or she is playing the examples correctly. Written for the intermediate to advanced jazz guitarist, this book assumes an adequate knowledge of chord scales and jazz theory. The topics include playing modally, chord substitutions, Coltrane substitutions, diminished and melodic minor scales as well as dealing with pentatonics. Companion CD included.